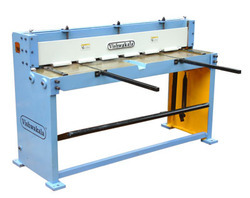 Our product range includes a wide range of hydraulic shearing machine, treadle shearing machine, over crank shearing machine and under crank shearing machine. 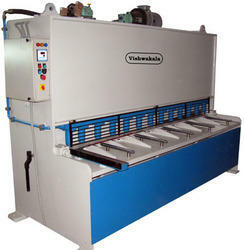 We are offering Hydraulic Shearing Machine to our clients. We provide high-quality and durable products to our clients. We are offering Treadle Shearing Machine to our clients. 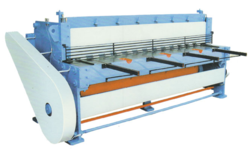 We are offering Over Crank Shearing Machine to our clients. We provide high-quality and durable products to our clients. 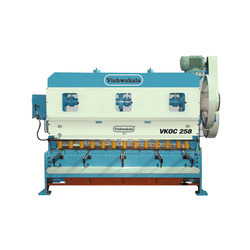 We are offering Under Crank Shearing Machine to our clients. We provide high-quality and durable products to our clients. (mm) Stroke per Minute Down to knife Edge (mm) Dimension (L*W*H) (mm) Motor Power HP) Weight Approx. Kgs.